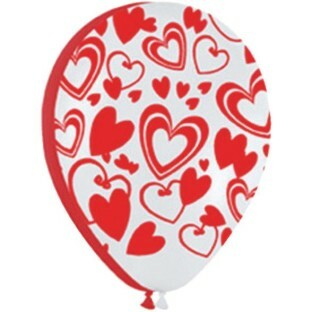 11" assorted red and white latex balloons with all-over flirty hearts design. They lasted well through Valentine's day. Nice bold red color.